Take inspiration from items that you typically recycle, or even those items you don’t know how to recycle. Create lighting in your home that suits your needs and looks unique. 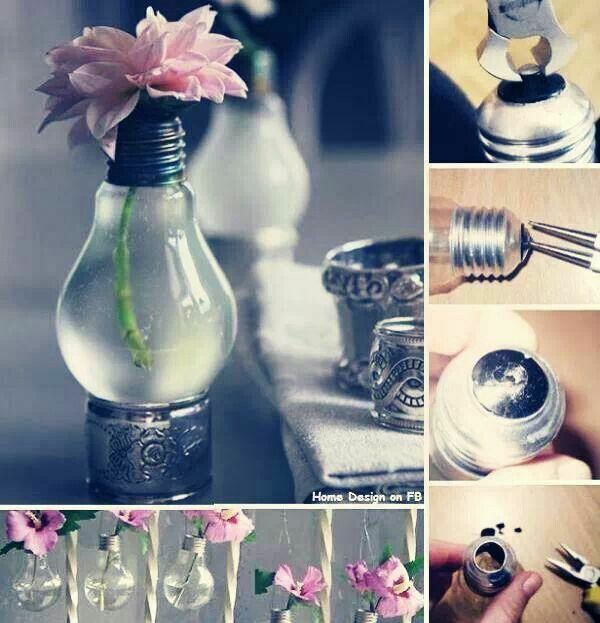 Or put old lightbulbs to an altogether different use as vases. Collect old wine bottle corks to make floormats, and magazines or newspapers to weave baskets for interesting storage spaces. 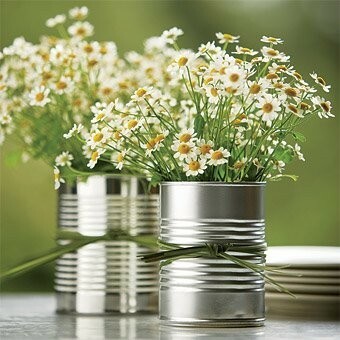 Make art out of old globes, tin cans or other odds and ends from your junk drawer. Everyone has one of those, right? Visit our Pinterest page for even more recycled inspiration. As the seasons change, invite friends over to create autumn wreaths. Or add style and class to dishes in your cupboard with some paint and a little inspiration. Both are fun projects to do with friends or roommates. Perhaps your home is really in need of some organization before you can get to decorating. Get kitchen gadgets and crafting supplies sorted and stored with the help of these DIY ideas. Are you into journaling or looking at getting started? Journals can be a colorful part of home décor, and they also make great gifts. Choose your favorite fabric designs and add splashes of color to your reading nook. 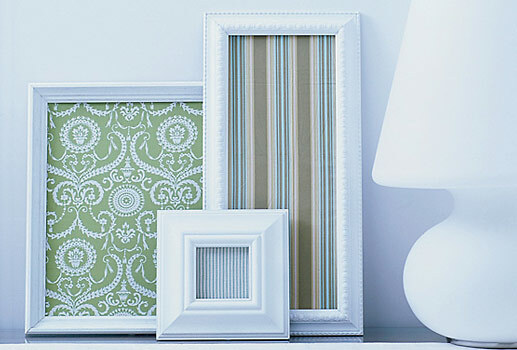 Make sure you get a little extra fabric if you want to spread the same design themes throughout the house by framing them. Hopefully these ideas are enough to get you started personalizing your abode. If you need more tips, take a look here. Happy DIY decorating!